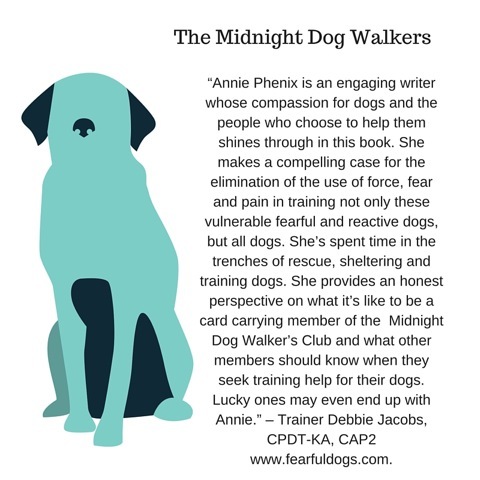 For most of 2015, Annie has been hard at work writing a book for dog owners who share their lives with reactive or aggressive dogs, The Midnight Dog Walkers. 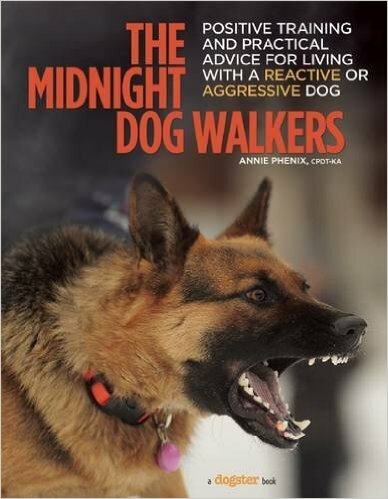 This Spring 2016 Lumina Media title is full of practical, easy-to-understand advice from one of the top trainers in the country and the only trainer in the Four Corners offering unique classes for troubled dogs. 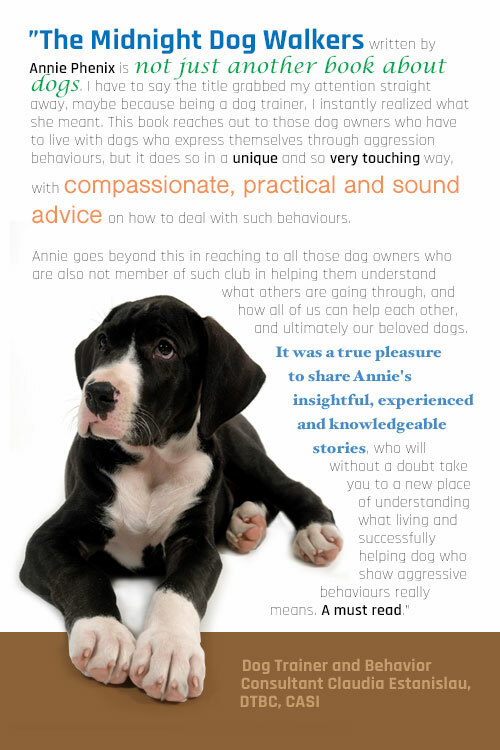 This book includes 30 years of insight Annie has learned with extensive, hands-on training of every kind of dog. She shares stories from her own life with difficult dogs as well as many success stories from her clients. 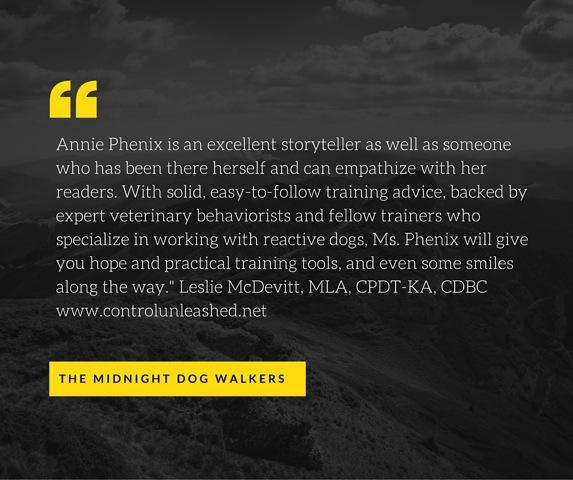 Annie has also interview the brightest luminaries in the dog world and the book contains science-based, accessible information that can immediately help owners with difficult dogs. Interviews with and information from include Dr. Karen Overall, Dr. Jessica Hekman, Dr. Nick Dodman, Dr. Jean Dodds, Dr. Jaak Panksepp and more!